سواءً كنت مسافراً بغرض السياحة أو العمل، Parkwood Motel & Apartments هو خيار عظيم للإقامة خلال زيارتك للمدينة. يقع مركز المدينة على بعد 2.5 Km فقط. ويمكن الوصول إلى المطار خلال 20 دقيقة. إن سهولة الوصول من الفندق إلى المعالم السياحية الشهيرة الكثيرة في المدينة هو استثنائي بحد ذاته. كما يقدم Parkwood Motel & Apartments الكثير من الخدمات لإغناء رحلتك في المدينة. يمكن الاستمتاع بمجموعة من الخدمات على أعلى المستويات في الفندق كمثل واي فاي مجاني في جميع الغرف, أمن على مدار 24 ساعة, خدمة التنظيف يوميًا, خدمات بريدية, خدمة سيارات الأجرة. ادخل إلى واحدة من الغرف 16 وتخلص من عناء نهار طويل بمساعدة مجموعة كبيرة من الخدمات كمثل تلفزيون بشاشة مسطحة, بطانية كهربائية, بياضات, صوفا, مناشف الموجودة في بعض الغرف. يمكنك طلب اللائحة الكاملة للخدمات في الفندق ومن بينها تنس الريشة, مسارات المشي, ملعب مصغر للجولف, مركز للياقة البدنية, مسار جولف - ضمن 3 كم. يحظى فندق Parkwood Motel & Apartments بموقع ممتاز وخدمات يصعب منافستها. It was a nice location for me, although it is not in Geelong city centre (because I drove a car). The next best thing is Katherine, the owner there that makes me feel like I am welcomed there. She even wrote/suggests me a few restaurants nearby (Thai food and Asia food that might interest me). It was a nice stay because of her. Thanks Katherine! Nice big house with many rooms and large lounge and kitchen area. Good to have sofa beds for extra adults. However, there is only one toilet for a three-bedroom house. 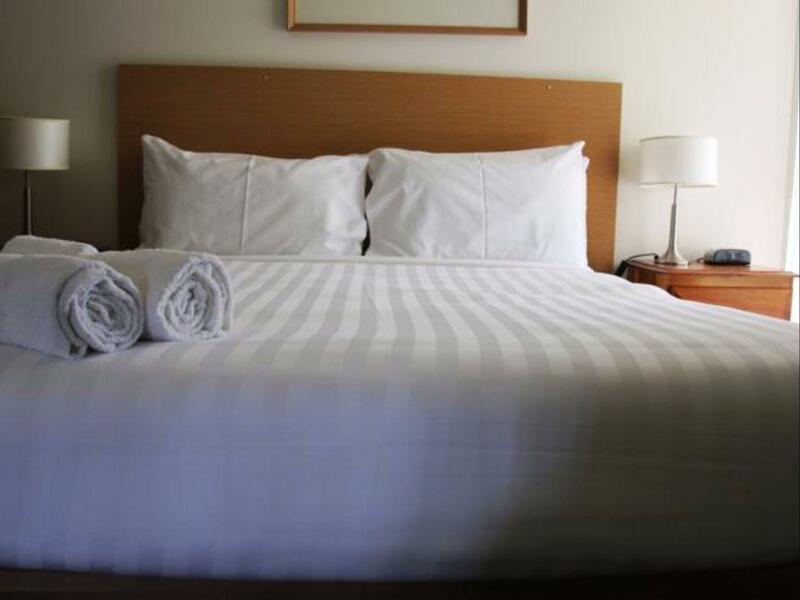 Overall comfortable stay with nice service from Catherina. Friendly staff, value for money and comfortable. Arrived at 10.30am realising it was way too early to get into our room,wrong,a no show meant we were able to move our belongings into our room straight away.Asked if they could organise a cab for us for our appointment no way,they dropped us into the centre of Geelong.What a start to our stay.Nothing was a problem.Our room was very comfortable and well equipped, would definitely stay at the Parkwood Motel again.A good value for money stay. Clean Rooms with newly funished facilities. Friendly Staff. Location. I brought along my 16 months old twins and they really enjoyed the stay. There were ample space in the twins room for them to roam about. Thenplace is clean and safe. Bedding ok. On busy highway corner. Shower made huge noises when turned on. Plenty of soaps and comforts, tea coffee biscuits, no cold water. Parties went on till 4 am outside at pool area from 2 rooms joining together. Nobody stopped them. Very noisy! Was surprised how huge the house was for the 3 bedroom apartment. Comes with own garden, porch for the car, outside dining and big living room/kitchen. Was a joy to stay in and we did some cooking ourselves. Lovely place and definitely will come back again to this lovely house. 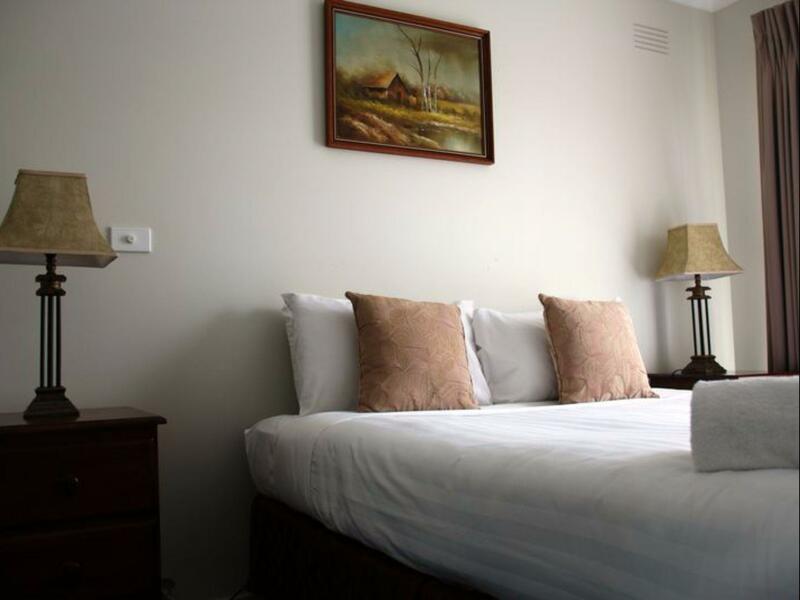 Our stay at Parkwood was relaxed, easy going hosts that were very helpful! 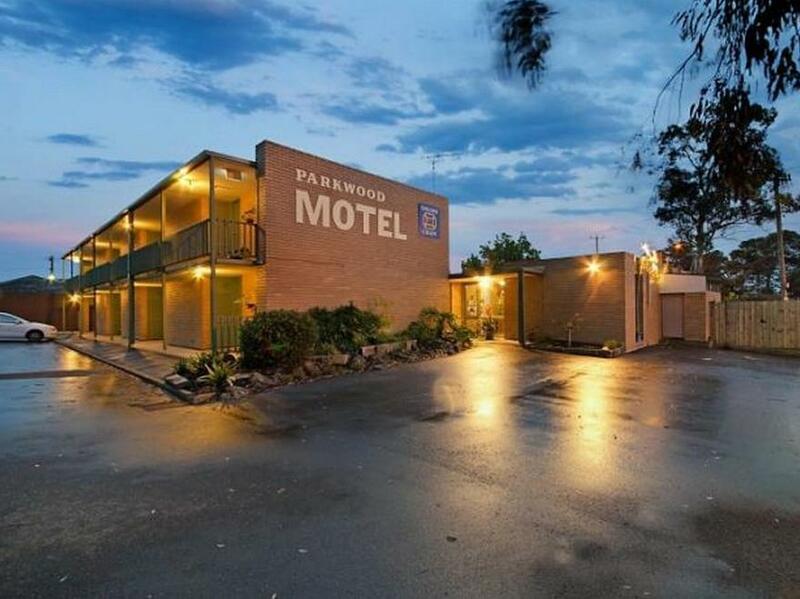 The Parkwood Motel suited our needs for an overnight stay - it was disappointing to discover it would have been less expensive to book direct rather than through an agency. I was only at Parkwood for one night but will return. The location was quiet despite being so close to a traffic intersection. The staff were very friendly and accommodating. It was so good to have FREE washing and laundry facilities. Big and clean (3 bed rooms) and an extra bed at the living room area. The house has a big front yard which allows kids to run around. Since its a stand alone house you dun have to worry about disburting the neighbors. The kids enjoy the big space. Allowing them to run around without much restriction. The rooms also have good heating system. Would have appreciated two comfortable armchairs. We had to use the main bed to relax in. Didn't realise until we arrived in our room that we could have asked for a toaster instead of taking our own. Same applied to microwave. I use hot packs to relieve severe back pain but it was not advertised that there was one in the room. HI Pamela.. 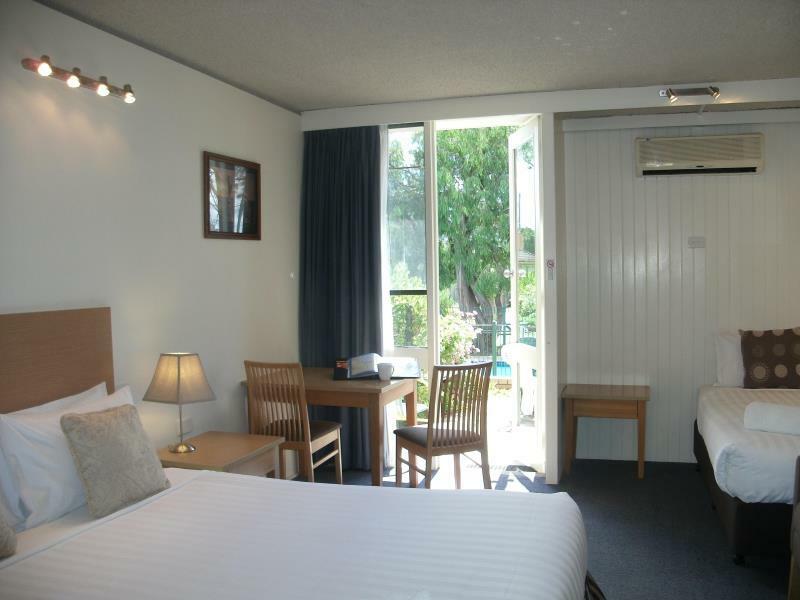 This was for a different motel.. All our rooms have arm chairs, microwaves, toasters, kettle, electric blankets, extra blankets, air con for heating and cooling. can you please delete your review please.. Not our motel. tku anyway. Thankyou Glen , much appreciated. 2 nights. comfortable stay. close to City. Road noise, but to be expected. The garden and pool area is really nice. We ate pizza by the pool. The shampoo and soap dispensers were cool. toaster given on request and extra cups and plates. We had a great stay, the owners went out of their way to keep us happy, the room was clean and tidy, good hot showers, airconditioning was good, nice to have a dining table in your room , Very happy.